I always enjoy talking with the “old” guys, because they have great stories and they’re honest. At some point in life you just don’t care what people think, and aren’t trying to impress anyone. DeMoss followed Jack Mollenkopf as Purdue’s football coach, and couldn’t quite get it done. He inherited talent and was regarded as a great offensive mind, but had a few bad breaks and probably didn’t quite have what it took as a head coach. That’s not an insult. It might even be a compliment. He’s a good guy, as down-to-earth as they come, and head coaches can’t always get away with being like that. DeMoss was an all-state basketball and football player from Kentucky. 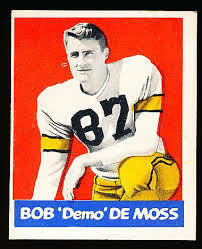 He played in the all-star series with Indiana in 1945, and then started at quarterback for Purdue for three seasons. 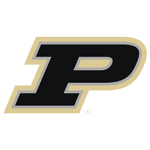 He was a second-round draft pick of the New York Bulldogs in 1949, but cut short his playing career to return to Purdue as an assistant coach. He’s a primary reason Purdue has had some great quarterbacks over the years. Bob Griese, for example, might have never moved up the depth chart and earned a starting position if DeMoss hadn’t helped discover a flaw in his throwing motion. 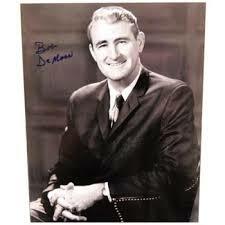 He became Purdue’s head coach in 1970, but stepped down after the ’72 season despite the fact his team had gone 6-2 in conference play. The irony was that the coach who helped develop great quarterbacks never had a great quarterback as a head coach to complement the running game. He stayed on at Purdue for decades, a fixture in the athletic department in one of those supporting roles that absorb so many coaches. He was a beloved figure, though, and always seemed busy. Most likely, he earned whatever he got with all his contributions as an athlete and coach.